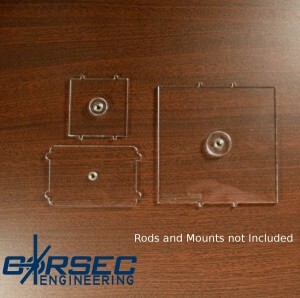 CorSec Engineering has added new large size and shuttle bases to their X-Wing bases line. We have expended the Starfighter base options to include a large base compatible with the new Wave 2 models and a shuttle base. We have added new color options for the templates. The movement,range, and firing templates are now available in Transparent Red and Fluorescent Green.